FEA MACTAN IS FINALLY OPEN! Firstwellness English Academy – Mactan Branch opened Feb. 4. So one school week after that on Feb. 8 was their first graduation. There was also barbecue party. As the entire school director, I was invited of course. So I finished what I had to do last Friday so I can go there in the afternoon. It was a good decision, I did not regret going there. They prepare barbecue — hotdogs, chicken, pork, and rice and soft drinks. FEA Mactan solely follows the Academic System I develop in Verbena. This way, if students want to transfer from either each campuses, it would be easier to continue the lesson. The same tests are given and so the same way of assessing the students’s level is also conducted. The teaching resources are almost identical from books to cd’s and others. Practically, it’s the same. Some of the teacher in Mactan are also from Verbena which lives nearer the place so they requested to be transferred. This is ensure from the management side that the transition would be smoother as possible. And true enough, for the Academic department, the system went well starting from day one. There only just minor adjustments in terms of familiarization of the resources and adaptation of the system to the new setting, but other than that — it is ready to sail away! The entire FEA Mactan Team is ready to serve you. The Japanase Manager there is Yuto and the Academic Coordinator is Karissa. I have to visit Mactan branch regularly, at least once a week to check out the operation of the Academic System and other stuff. The last time I visited there was Friday. I asked our previous student from Verbena-Cebu Branch how he is and he was smiling saying “No Problem”. It is also very fun to go there and meet new students! I hope to see all of you in either one of our branches. You can choose which branch you would like to study — or if you want to enjoy both, you can stay at both places! See you all! 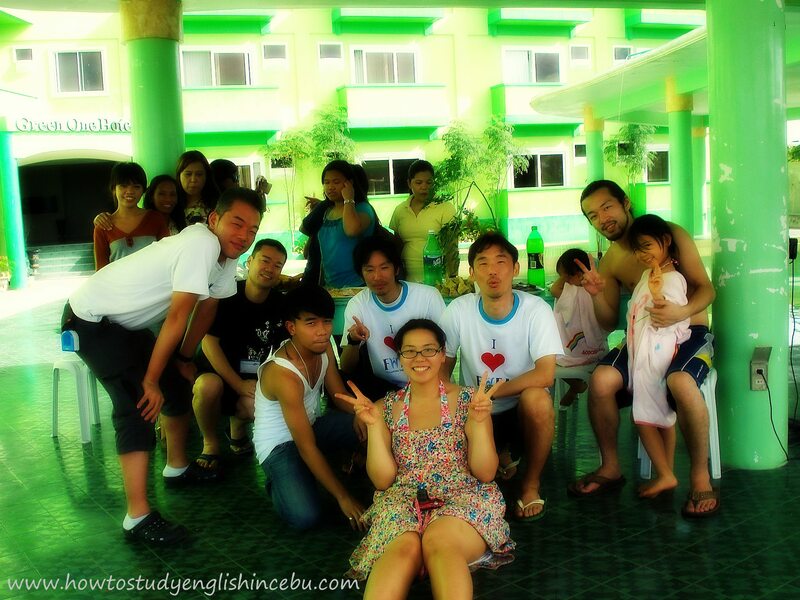 Feb11February 11, 2013 • By Miss D • This entry was posted in FEA - Mactan, FIRST WELLNESS ENGLISH ACADEMY and tagged Cebu English Schools, Cebu Study Tips, English Education, FIRST WELLNESS ENGLISH ACADEMY, How To Study English In Cebu. Bookmark the permalink.